The Apogee Awards will honor three individuals in nine C-suite categories in Miami-Dade, Broward and Palm Beach counties. 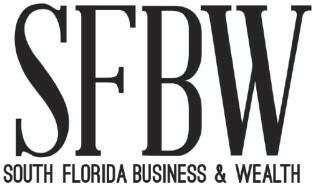 The 27 honorees will be showcased in the SFBW magazine and honored a a gala awards ceremony. Judging of honorees by the SFBW editorial staff will be based upon the nominee’s impact on his or her organization, clients and the community. Click here to purchase tickets: apogee-awards-2018.eventbrite.com. Palm Beach County – Rex Kirby, Verdex Construction, LLC. Broward County – Gerald Greenspoon, Greenspoon Marder, LLP. Miami-Dade County – Jaret Davis, Greenberg Traurig, P.A. Miami-Dade County – Tina Spano, Adler Group, Inc.
Miami-Dade County – Frederick O’Malley, Shutts & Bowen, LLP. Miami-Dade County – Janelle Woodward, Taplin, Canida & Habacht, LLC. This high profile awards program and event generates new business opportunities through brand awareness, sales leads, networking and entertaining. As a signature awards event, it brings together the community in a positive way to recognize, reward and celebrate outstanding “Apogee Award” professionals and community advocates.